Give your truck, SUV, or car a makeover with a new set of eye-catching TFP chrome and stainless steel door handle covers. A new set of flashy door handle covers at a great price – what more could you ask for? You'll start turning heads and soon as you get these babies on your ride. The door handle covers are made from either T-304 stainless steel, or a durable ABS plastic. Stainless steel are polished to a mirror-like finish, and are resistant to rust and corrosion. ABS plastic covers are finished in chrome, which is certain to draw attention. Installation is a snap with TFP chrome and stainless steel door handles which are held in place with automotive-grade 3M tape. So, if you're ready to add some shine to your ride, don't look any further than TFP chrome and stainless steel door handles. Easy to install, excellent looks, and a wallet friendly price. Get yours today! TFP stainless steel door handles are backed by a one year warranty, and the ABS handles are backed by a six month warranty. Please give us a call at 877-216-5446 with any questions. 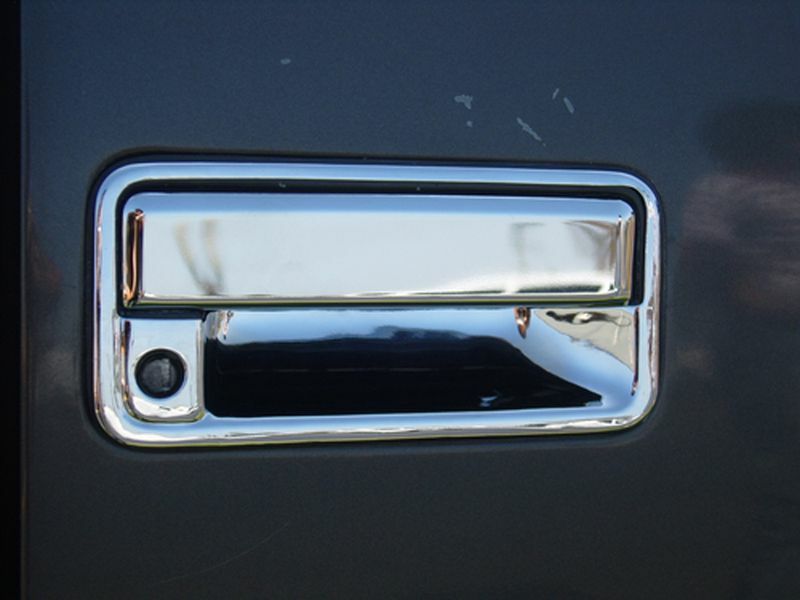 TFP chrome and stainless steel door handle covers are easily installed using automotive-grade 3M tape. If you have any questions or concerns, please give one of our helpful customer service specialists a call at 877-216-5446. We have people hanging out in sunny North Dakota 7 days a week, who are ready to answer your questions.